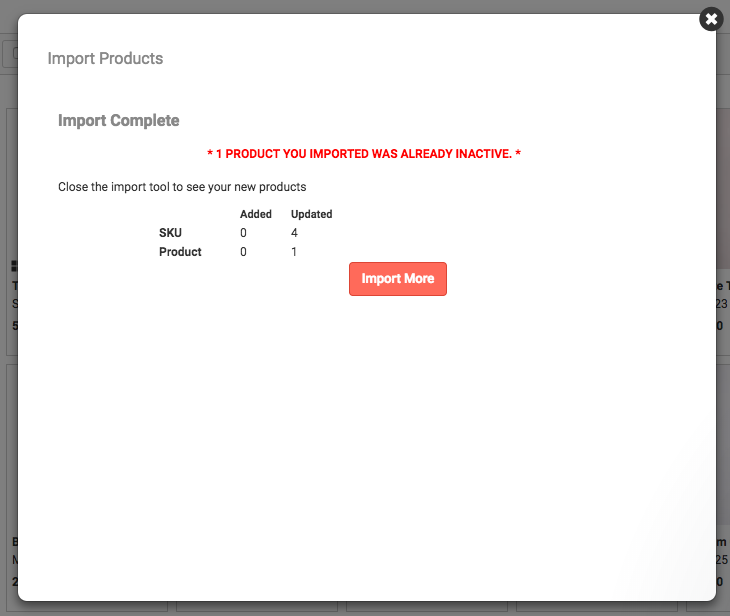 Error Message: "Products you imported were already Inactive"
If you see the error message "X Products you imported were already inactive," it means that the products already exist inside your showroom. Any new information you've imported will affect those Products but you may not see them since they are hidden by default. To find these Inactive Products and set them back to Active see Set a Product from Inactive back to Active.